If you’re looking to incorporate some French-inspired style into your home, look no further. 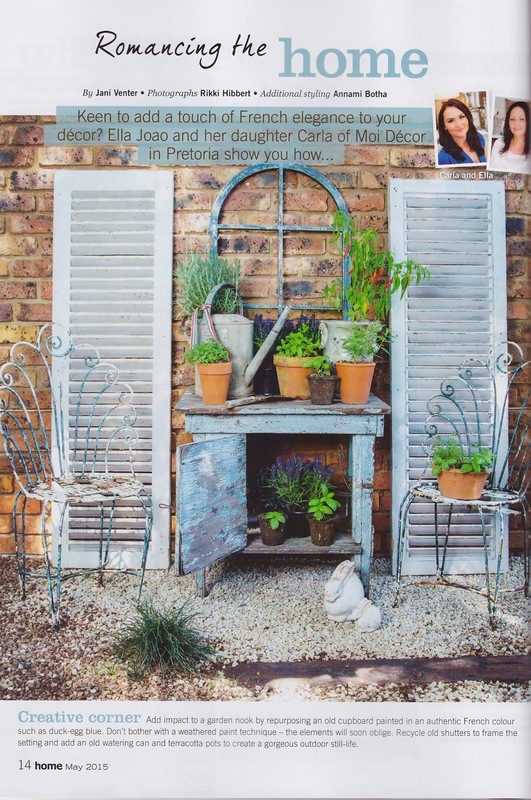 Ella from Moi Decor has put together some info that you may find handy when it comes to adding at a Francophile touch to your home. 2. 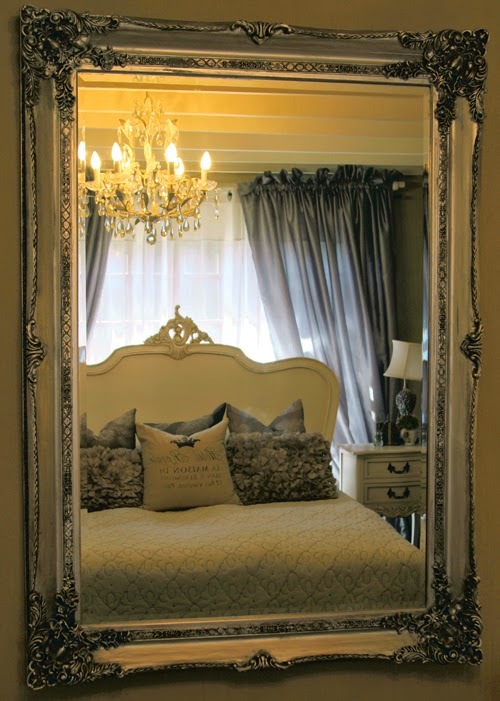 Luxurious décor pieces such as tufted headboards or white Rococo headboards and Armoires add sophistication. 3. 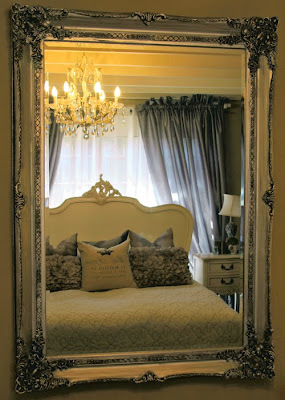 Silver or gold gilded mirrors hung on the walls. 4. Make a focal point out of something interesting like a giant clock, antique dresser, vintage book stacks or unique treasures such as candlesticks or other faded silverware. 5. Plush upholstered cushions in rich textured fabrics, such as velvet or silk fabrics, or ornate French words on cushions also add to an opulent feel. 6. Crystal, silverware, old books or French crockery and cutlery or even a little memento or two from France, like an Eiffel tower or a treasure picked up a French market, all add French authenticity. 7. 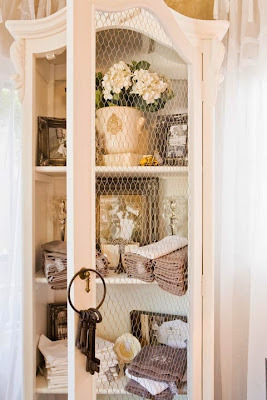 Enlarge and frame photos of old Parisian shutters if you cannot afford a real Armoire. 8. 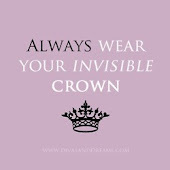 Visit local antique markets and scout for “treasures”... you will be surprised at what you find once you know what to look out for. 1. Keep it simple, mix and match chunky furniture pieces. 2. Chunky white washed baskets with natural coloured linens and throws placed in the living room. 3. 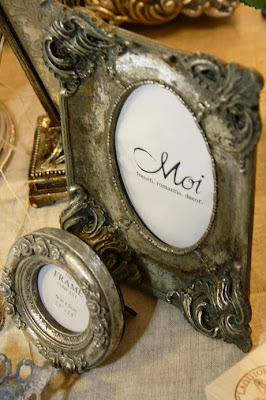 Repurpose vintage pieces through paint-techniques. 4. Natural flooring and walls. Use plaster on the walls or a stucco finish to add texture to the space. 5. 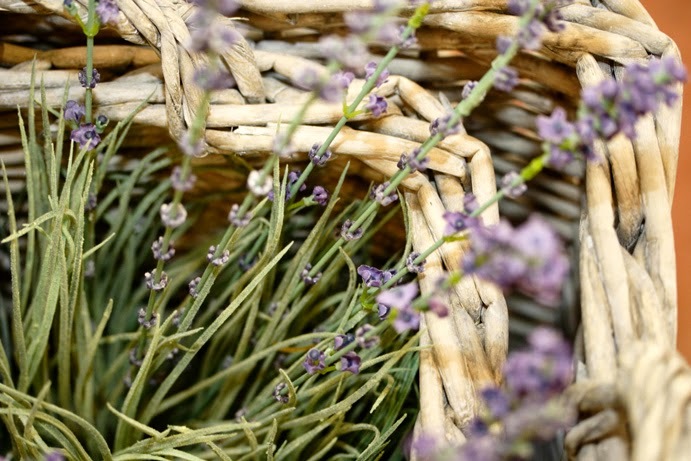 Fresh flowers or herbs (lavender) in rustic terracotta pots dotted around the patio/ kitchen window sill/ garden. 6. 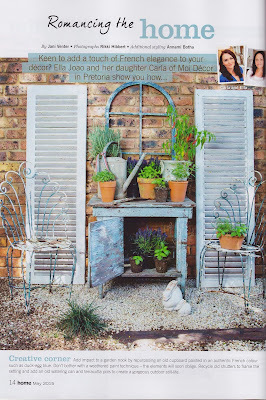 Window styled mirrors, old shutters or old doors all add charm. Here you can get away with vintage and not necessarily antique. 7. Incorporate new decorative doorknobs onto furniture pieces with drawers to spruce up the look. 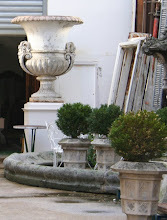 3) The French Romantic Style is a combination of whimsy, ornate and the country feel. This is a very popular choice for bedrooms and bathrooms. 1. Painted and distressed décor pieces with simplicity, giving attention to detail in even the most unexpected places of your home such as hanging a little wooden heart from a doorknob. 2. 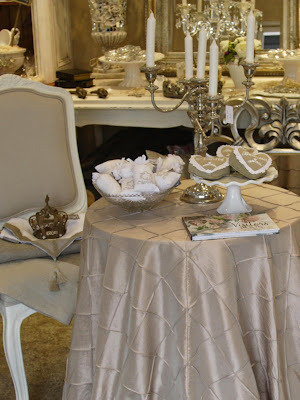 Brocante lace linens for either the bed or table scape. 3. Extra length sheer curtains that drape to the floor can be hung on a simple rod in cottons and voile to allow natural light in. 4. Creamy white/ whipped cream colours can be used on bed linens, layering texture with lace or broderie anglaise-edged pillowcases. 5. A bit of floral fabrics and white distressed furniture, soft muted colours once again. 6. Stacks of hat boxes with floral prints or French words also add to the feeling that you want to create. 7. French words cut out in steel or wood, books on French travel etc. We hope these tips will help you achieve a little bit of France where ever you are! Moi, a unique French-inspired home boutique based in Pretoria, provides that same feeling of French charm through its selection of precious imported French goods, handpicked treasures, quaint décor accessories, vintage gifts and shabby chic furniture. "May the whimsy of France stir your tea!" 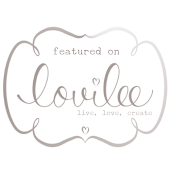 Courtesy mention and URL to this site is a MUST, merci! We mention content that don't belong to us. Moi Decor at Duncan Yard has expanded! Happy Spring from us at Moi Decor!